2017 Ford F-250 Super Duty For Sale In Vernon, Kelowna, Okanagan, BC. When you think of a heavy duty work truck that’s perfect for heavy duty play too, the 2017 Ford F-250 Super Duty should come to mind. Available in XL, XLT, Lariat, King Ranch, and Platinum trim levels, you can make this truck your own when you choose between the three cab options, depending on the model, which include Crew Cab, Regular Cab and SuperCab. 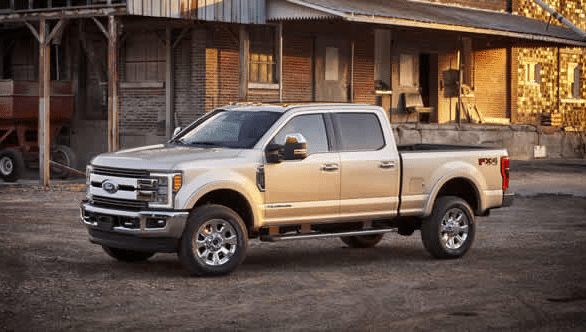 You have your choice of box size: 6 3/4' or 8', plus the choice of 2 incredible engine options: 6.2L V8 Gas (FFV) or 6.7L Power Stroke V8 Turbo Diesel. The new F-250 Super Duty has a seating capacity for two to six passengers, depending on the model/cab configuration. Designed with high-strength military grade aluminum alloy, you can be sure the 2017 Ford F-250 Super Duty will be dent and rust resistant. With an array of stylish bumpers to choose from such as caribou-painted steel or chrome, as well as grille designs which range from black to chrome 2-bar insert with chrome surround, you can have a truck with the swagger you crave. Keep things illuminated on the road during those late night drives with available quad-beam LED headlights, fog lights and LED tail lights. Top of the line PowerScope power-telescoping and folding trailer tow exterior mirrors feature power/heated glass, heated manual spotter mirrors which are integrated into the clearance lights, as well as the LED turn signal indicators, make towing or hauling a load a breeze. Keep organized with a Tool/Cargo Box by Delta. Let the sun shine into the truck with available single or twin-panel power moonroof. Opt for features such as rear wheel-well liners, bed liners, and splash guards to keep your truck protected. Slide into the cab of the ﻿﻿﻿2017 Ford F-250 Super Duty ﻿﻿﻿and relax in luxury done right. With your choice of cloth or leather seats, as well as a variety of seating configurations. With six available upfitter switches, you know this is a truck that is ready for both work and play. Comfort can be found in the available 8-way power driver seat with lumbar support and heated front seats. Audiophiles will rejoice to the sound of the available audio system from Sony which comes equipped with ten speakers including subwoofer plus MP3 functionality. 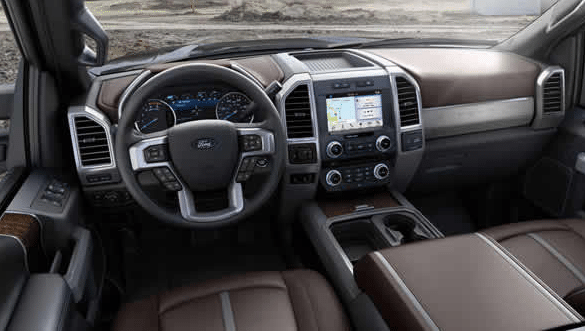 Get to where you need to go thanks to the available voice-activated navigation system, which comes standard with King Ranch and Platinum models. Available driver-assist technology is the cherry on top to helping you get to where you need to go safely. These features include adaptive cruise control and collision warning, BLIS, reverse sensing system, and adaptive steering. The SYNC 3 Enhance Voice Recognition Communication and Entertainment System features an 8" colour LCD touchscreen in the centre stack with swiping capability, 911 Assist, AppLink and two smart-charging USB ports, making it the ultimate driving companion in the 2017 Ford F-250 Super Duty. Did you know you can make the ﻿﻿﻿2017 Ford F-250 Super Duty﻿﻿﻿ your own? 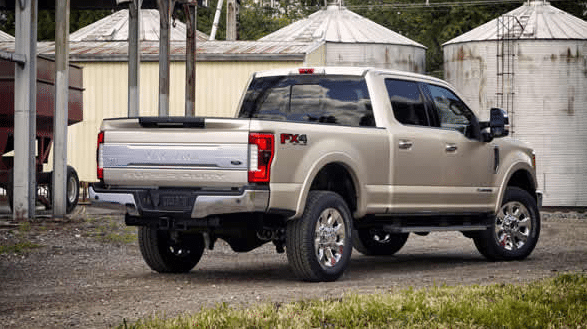 Ford offers an array of parts and accessories to help you make your truck your own, such as fender flares, exhaust tips, Ford Custom Graphics, and more. Ford also offers a range of accessories, so whatever the job is, you can get it done right. These accessories include rack and carriers, bed and cargo organizers, as well as tonneau covers. Keep your truck from being damaged with items such as trailer towing accessories, splash guards, bed liners and more. A built Ford tough machine like the ﻿﻿﻿2017 Ford F-250 Super Duty﻿﻿﻿ comes equipped with durability, power and out-of-this-world capability. Known for its Best-in-Class conventional towing, Best-in-Class payload and Best-in-Class 5th-wheel/Gooseneck towing, the F-250 features the choice of gas or diesel to power your work. Each engine comes paired with Ford's TorqShift 6-speed SelectShift automatic transmission. This transmission makes shifting gears feel seamless and offers speedy power delivery which helps increase fuel economy. The Tow-Haul mode offers for more control and better handling when towing. Ford also offers an array of towing accessories and driver-assist technology to make towing easy. Ford is renowned for its award winning lineup, and the 2017 Ford F-250 Super Duty is no different. Thanks to a comprehensive new warranty, you can have confidence when owning the ﻿﻿﻿2017 Ford F-250 Super Duty﻿﻿﻿. Step inside the ﻿﻿﻿2017 Ford F-250 Super Duty﻿﻿﻿ and get excited by its raw power and refined interior touches. With a variety of configurations and styling options, you can make the truck as stylish as you are. It also features two incredible engines, both of which come paired with a TorqShift G 6-speed SelectShift automatic transmission. The F-250 has an award-winning legacy that you’ll surely notice once you’re behind the wheel. Visit your local Vernon and ﻿﻿﻿Okanagan Ford dealer - Watkin Motors Ford ﻿﻿﻿to learn more about the ﻿﻿﻿2017 Ford F-250 Super Duty﻿﻿﻿. Proud to be Canada’s longest serving Ford dealership, Watkin Motors Ford offers the latest from Ford Canada’s 2017 lineup, including the new Ford F-250 Super Duty. Book your test drive with ﻿﻿Watkin Motors Ford﻿﻿, ﻿﻿﻿Taking Care Of The Okanagan For Life﻿﻿﻿.